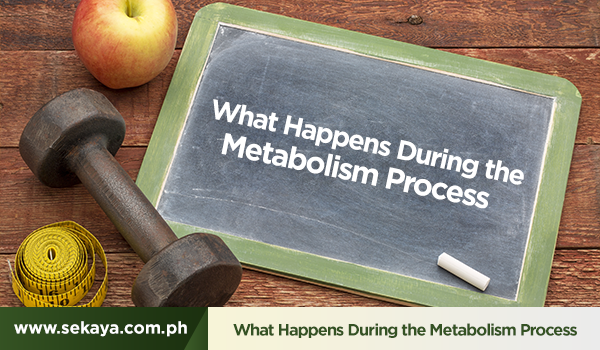 When talking about weight loss, metabolism is a word that is often thrown around. But what is metabolism and what exactly does it have to do with losing weight? To put it simply, metabolism refers to all of the chemical processes that convert proteins, carbohydrates and fats from your food into the energy your body needs to function. Now the speed at which metabolism runs, called metabolic rate, varies per person. Some people have fast metabolism so they burn calories faster, making them less likely to accumulate fat. On the other hand, those with slower metabolism tend to have more leftover calories which get stored as fat. Age - Your average metabolic rate decreases by 2 percent per decade after you hit your twenties. Weight - An increase in weight also means an increase in metabolic rate. Gender - Men tend to have higher metabolic rates than women. Body makeup - Individuals with more muscle and less fat will have higher metabolic rate. Physical activity - The more active you are, the more calories you burn. Your metabolism will follow accordingly. Certain medical conditions, certain medications, and climate can also affect your metabolic rate. Can you speed up metabolism to lose weight? While counting calories can help with weight loss, incorporating strategies to speed up metabolism may also be a good addition to weight loss programs. The more active you are, the greater your metabolic rate becomes. Even light activities such as walking, taking the stairs, or doing household activities can help in the long run. Protein helps build and maintain muscle mass, which affects your metabolic rate. Lack of sleep isn’t just bad for your health in general; it can also suppress your metabolic rate and increase your chances of gaining weight. Made with Pu-erh tea, one of the most popular beverages in Asia, Pu-erh Trim helps speed up fat burning and supports weight management. Learn more about Pu-erh Trim here. Delight in nature’s nourishing gifts with Sekaya Botanic Infusion.